If your consciousness do not see the superposition directly, you would not have been seeing the least action paths in the macroscopic world all the time. … But it so happens that you just used second-order logic, because you talked about groups or collections of entities, whereas first-order logic only talks about individual entities. In gaming, the concept is called a “replay”, where instead of recording the pixels on the screen in every frame, they instead record all inputs processed on every frame, and just replay them thru the same engine. The action is technically idempotent in the game world. Where this breaks down is when features get updated between revisions. If your game patched the “jump” function to increase upward momentum from 1.1 m/s to 1.13 m/s, the Replay would be incorrect. You would be jumping onto platforms you couldn’t get up to before, moving faster, maybe even dodging enemy attacks that hit you when you played that match. The human neuroprocessor is always changing and growing, always revising itself. Thus memories replay incorrectly. You apply old feelings to new mental patterns, and sometimes they lead to weird places. Or sometimes you mistake something easy for being difficult, because your memory data is out-of-date for your current processes. Therefore, the phrase “north of North Pole” is meaningless. Feeling is a relationship between a particular observer and a particular observed. So the question of “whether the color red I see is the same as the color red you see” is logically meaningless. 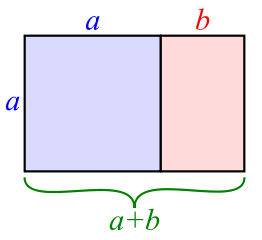 If observer B can get the memory of observer A, it is logically possible to feel another mind’s feelings (to a certain extend). In that situation, the question of “whether B’s feeling of seeing the color red is the same as A’s” is meaningful.